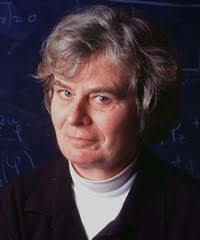 Karen Uhlenbeck is a mathematician who has won a number of awards in the past and has just now been announced as winner of the 2019 Abel Prize. Today Ken and I want to explain a tiny bit about what Uhlenbeck did. Sacks and Uhlenbeck were studying ‘minimal surfaces,’ the mathematical theory of how soap films arrange themselves into shapes that minimize their energy. But the theory had been marred by the appearance of points at which energy appeared to become infinitely concentrated. Uhlenbeck’s insight was to “zoom in” on those points to that this were caused by a new bubble splitting off the surface. Some of the coolest comments are by Uhlenbeck’s doctoral graduate Mark Haskins in the story in the current issue of Nature. Haskins says Uhlenbeck is one of those mathematicians who have ‘an innate sense of what should be true,’ even if they cannot always explain why. You can think of as assigning a cost to a function . The goal of the calculus of variations is to find the best that minimizes subject to some conditions on . This is a huge generalization of simple minimization problems that arise in basic calculus. He then goes on to explain that in order to study the minimum solutions of such a function one quickly needs to examine partial differential equations. The math gets complex and beautiful very quickly. As computer scientists who like discrete structures this is not our sweet spot. We rarely use partial derivatives in our work. Well not very often. See these two posts for an example. Well, we take to integrals even less than partial derivatives. We will change things up by starting with a discrete approach—as is our wont. Our given task is to prove in general that a straight line is the shortest path from the origin to a given point . We first consider polygonal paths with line segments. First, if then the only option allowed is to go from to in one line segment. Thus the conclusion holds trivially: the Euclidean distance is the minimum length of a -segment path. be a series of line segments that form the shortest path from to . Now by induction, the minimum length of a path of up to segments from to is via a straight line from to . And the length of the segment from the origin to of course is . Now the Euclidean triangle inequality says that the length which bounds the length of this path from below is not less than . Thus we have proved it for and the induction goes through. What we really want to do, however, is prove that is the shortest length for any path, period. The path need not have any straight segments. It may go in circular arcs, continually changing direction. The arcs need not be circular per-se; they could be anything. The idea that occurs to us computer scientists is to let go to infinity. That is, we want to consider any path as being a limit of polygonal paths. But is this really legitimate? We can certainly approximate any path by paths of segments. But real analysis is littered with examples of complicated curves—themselves defined by limits—that defeat many intuitive expectations about continuity and limits. So how can we make such an infinitistic proof go through rigorously? This is where the calculus of variations takes over. Wrangling this integral seems daunting enough, but the real action involving only begins after doing so. Both the length and the body of the integral are functionals—that is, functions of a function. We need to minimize over all functions . This is a higher-order task than minimizing a function at a point. Then the condition that is stationary with respect to compactly supported variations of is a second order differential equation—the Euler-Lagrange equation associated to the functional. However you slice it, the point is that the equation (3), when applied to cases like the above, is attackable. In the minimum-length path example, our source—after doing eight more equation lines of work—deduces that must be constant. Any function argument that yields this must be a straight line. The initial conditions force this to be the straight line from to . The point we are emphasizing is that this simple case of paths in the plane—and its abstraction via functionals that are ultimately founded on one variable —have a ready-made minimization scheme, thanks to Euler and Lagrange. The scheme is fully general—not subject to the caveats about our simple approximation by line segments. What happens in higher-dimensional cases? We can quote from the wonderful two-page essay accompanying the Abel Prize citation. It first notes the importance of a condition on functionals and their ambient spaces named for Richard Palais and Stephen Smale, which however fails for many cases of interest including harmonic maps. [T]he Palais-Smale compactness condition … guarantees existence of minimizers of geometric functionals and is successful in the case of 1-dimensional domains, such as closed geodesics. Uhlenbeck realized that the condition of Palais-Smale fails in the case of surfaces due to topological reasons. The papers with Sacks explored the roots of these breakdowns and found a way to patch them. The violation of the Palais-Smale condition allows minimizing sequences of functionals to converge with dependence on points outside the space being analyzed. But those loci are governed by a finite set of singular points within the space. This enables the calculus outside the space to be treated as a re-scaling of what goes on inside the space. In general cases the view of the process from inside to outside can be described and analyzed as bubbles emerging from the singular locations. More than this picture and interpretation, the Sacks-Uhlenbeck papers produced a now-standard tool-set for higher-dimensional minimization of functionals. It is also another successful marriage of topology—determining the singularities—and analysis. any finite-energy solution to the Yang-Mills equations that is well-defined in the neighborhood of a point will also extend smoothly to the point itself. We’ve been happy to report that Uhlenbeck has won the prestigious Abel Prize. We have avoided referencing one aspect—despite giving numerous quotes verbatim—that can be appreciated in subsequent fullness here and here and in this. By so doing we’ve abided the desire stated in the twelfth paragraph of this essay. We wonder if this is the right way to do things. What do you think? Reblogged this on Fort McMurray / Wood Buffalo Digital Forum. Proving that the shortest distance between the origin and a point (x,y) is a straight line.